I'll make no bones about it, I love the show The Biggest Loser. One of my favorite moments was not a dramatic weigh in or an excited utterance. 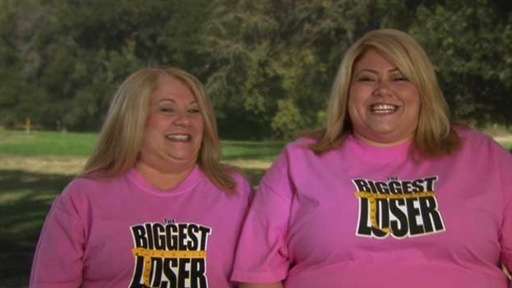 It was during an interview with Season 10's Pink Team: Ashley and Sherry. Ashley turns to her mother and says "What happens if I go in there and I can't do it?" Sherry turns to her daughter and says "But what if you go in there and you can?" They've shown this clip a few times, but each and every time I get chills over this quiet confidence of a mother (who is suffering her own battles) trying to do right by her child. It's become one of my new mantras -- "but what if I can?" I get all goosebumpy every time I see that clip! Haven't you heard the word of your body?